The Interbank Lesbian, Gay, Bisexual and Transgender (LGBT) Forum was formed in 2002. At the outset it was a Network of LGBT Networks from those banks in the Investment Banking sector which met certain key membership criteria. An institution was represented on the Interbank Committee by members of its LGBT Network which would meet on a monthly basis. In 2012, when Interbank decided to restructure itself there were 15 member institutions on the Committee. To create an open and inclusive forum for LGBT employees from Financial Services Firms (FSFs) in which to meet and discuss issues impacting LGBT employees in their day-to-day work environment. so as to assist FSFs to (i) cultivate an environment that is inclusive and supportive of their LGBT employees, and (ii) positively value and encourage their ENGs’ activities. To provide a forum for developing an appropriate collective response to LGBT issues that benefits FSFs and reflects positively on the Financial Services industry’s commitment to the LGBT community. To promote and encourage networking opportunities for LGBT Employees of FSFs. 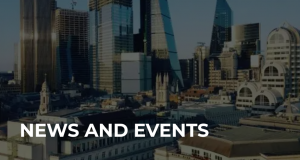 Interbank organises regular networking evenings for its members at locations in the City and Canary Wharf. It also partners with other networks of networks and forums to deliver relevant events and networking opportunities to its members. Interbank also supports Corporate and Social Responsibility initiatives, allowing its members to support LGBT community initiatives across the Greater London area. It has sponsored a special film screening at the London Lesbian and Gay Film Festival/BFI Flare for the past four years and has previously sponsored the Pride 10k. In 2015, Interbank was the main sponsor of Positive East’s Red Run which took place at the end of November and keeps sponsoring the event since. The Interbank LGBT Forum supports trans*formation. trans*formation is a new, thrice-yearly networking evening for professionals who identify as trans* and their friends and supporters. It seeks to connect and inspire trans* professionals in a safe and welcoming environment and, as its name suggests, work to achieve a real transformation in the standing, openness and wellbeing of trans* professionals and the companies for which they work. Traditional LGBT networks have been a good start for this group, but this innitiinit has been launched and led by, trans* professionals to meet that community’s unique needs and aspirations. Interbank membership is possible on an individual basis with the Interbank Committee being formed from those institutions who wish to contribute to the organisation going forward.